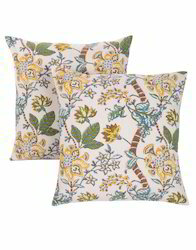 "Rajrang showcases a compelled floral pattern on this ethnic cushion cover. 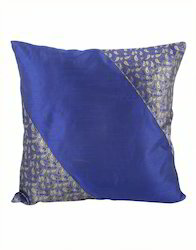 Crafted from soft poly silk material the cushion cover ensures comfort and quality. The cushion cover is well stepped out in eye-catching colors with beautiful patch work along with mirror work to the base. A great addition to your Home Decor, this square-shaped cushion cover comes with flap closure type." 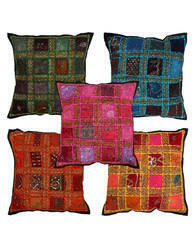 Buy these colorful cushion covers to get a spring decor for your room. They are very easily manageable throw pillow covers with the flap zipper closure and the over locked edges. The cushion covers are made of 100% cotton and are quite simple to maintain. 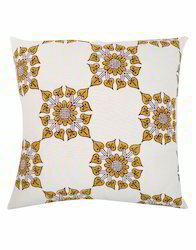 These 18X18 throw pillow covers can be used on the sofa sets, couch or bed. The attractive blend of colors gives the sofa cushion covers an appeal. Hand washes only, dry in the shade. We are offering our customers an excellent quality range of Wholesale Indian Bed Cushions. we are engaged in manufacturing and exporting a wide range of All Type of Cushion Covers. The cushion cover has been provided with a zipper to ensure easy usability. 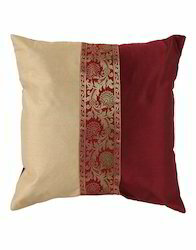 Description : The pillowcase in size looks perfect to adorn your sofa seat set or couch. The elegant hand block floral prints make this sofa cushion covers very attractive and suitable for both indoor and outdoor uses.The cotton fabric makes it easy to manage and wash. The soft texture of the cloth makes it comfortable to use. The flap zipper closure and the overlocked edges are for easy care and neat finish. Presenting Decorative Pillow hot-Selling Vintage design Patchwork Cushion Cover. We are a leading manufacturer and exporter all types of cotton cushion cover and Fine Cotton based home furnishings collection. These products are designed using the quality raw material. 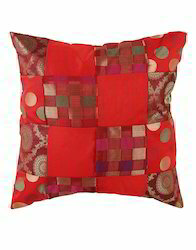 We are offering our customers an excellent quality range of Sequins Work Cotton Cushion Cover. we are engaged in manufacturing and exporting a wide range of All Type of Cushion Cover. The cushion has been provided with a zipper to ensure easy usability. The 18X18 accent cotton pillow covers are quite prepossessing. The cotton made decorative back pillow cover can be used over the sofa set, couch, or your bed. 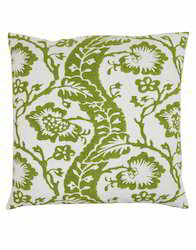 The cushion covers are manufactured with hand block prints. The flap zipper closure and the overlocked edges are for easy care and neat finish. We are offering our customers an excellent quality range of Patch Work Pillow Cover. we are engaged in manufacturing and exporting a wide range of All Type of Cushion Cover. The cushion has been provided with a zipper to ensure easy usability. We are offering our customers an excellent quality range of Sofa Cushion Cover. We are engaged in manufacturing and exporting a wide range of All Type of Cushion Covers. The cushion cover is manufactured with a zipper which makes it easily accessible.